Towers with a Heart is a non-profit that was formed after the death of our friend Joseph Ricciardelli in 2012 on I-95 in Boynton Beach, Florida. Joe was assisting the Florida Highway Patrol during a routine tow after the driver was arrested. A vehicle that failed to Move Over struck Joe while he was placing his traffic cones to protect the scene. 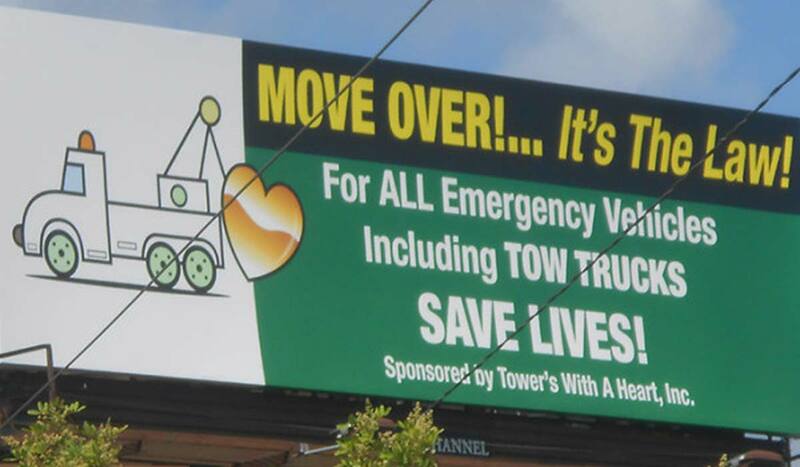 This billboard is sponsored by Towers with a Heart to honor Joe and all those in our industry that have lost their lives or been injured assisting motorists on our state highways.